German pianist Hinrich Alpers, 1st Prize winner at the 3rd International Telekom Beethoven Competition in Bonn (2009), artist and teacher. Hinrich Alpers completed his studies at the Hochschule für Musik, Theater und Medien Hannover with Prof. Bernd Goetzke. He gained renown in the United States while studying at the Juilliard School with Jerome Lowenthal. In 2004, Alpers won both 1st prize and the special Grieg prize at the Concours Grieg in Oslo, Norway. 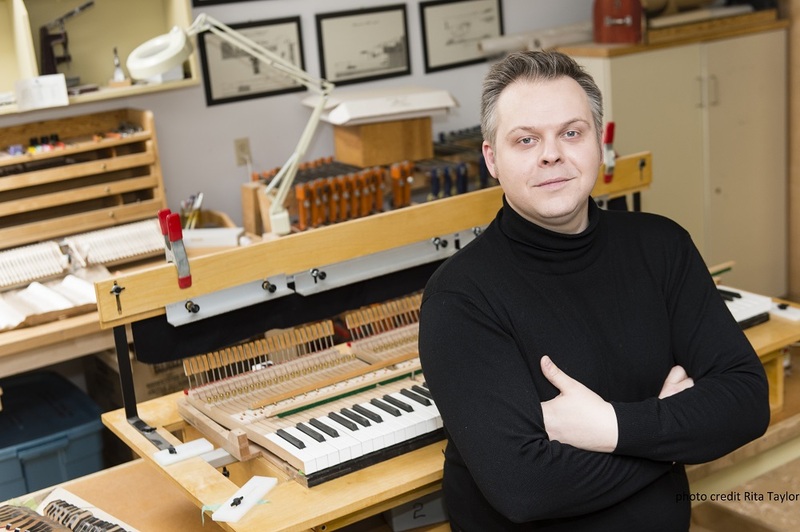 In 2006 he became laureate of Canada’s Honens International Piano Competition, which earned him a three-year scholarship. A turning point in his career came in 2009 when he won 1st Prize at the 3rd International Telekom Beethoven Competition in Bonn, along with the audience’s favourite prize, special prizes for chamber music (in a duo with Misha Maisky), and a prize for his interpretation of the commissioned work. Since then, he has given concerts around the world and became active as a pianist, appearing in recital, as soloist with orchestra and as partner in chamber music and Lieder collaborations at numerous festivals and events throughout Europe, United States, Canada, as well as in many other countries. 2009 saw the release of his album with works by Robert Schumann, benefiting from a three-year career development program (as part of the Honens International Piano Competition award). It is also worth noting the pianist’s his CD with music by Rudi Stephan, where he performs the composer’s chamber music and songs. Today, Hinrich Alpers teaches piano at the Musikhochschule Hannover and at the Universität der Künste in Berlinie. He is the founder as well as artistic director of the International Summer Academy Lüneburger Heide, an annual festival of concerts and master classes. He was named a Steinway Artist in 2007. Hinrich Alpers is represented by the Ludwig van Beethoven Association.